Businesses are joining together to back London’s next generation cycle superhighways, including Barts NHS Trust. A campaign website, cyclingworks.london, was set up in response to opposition and threats of legal action against the Mayor from some London businesses to the plans, which will see road space reallocated from motor traffic for segregated cycle routes across London. 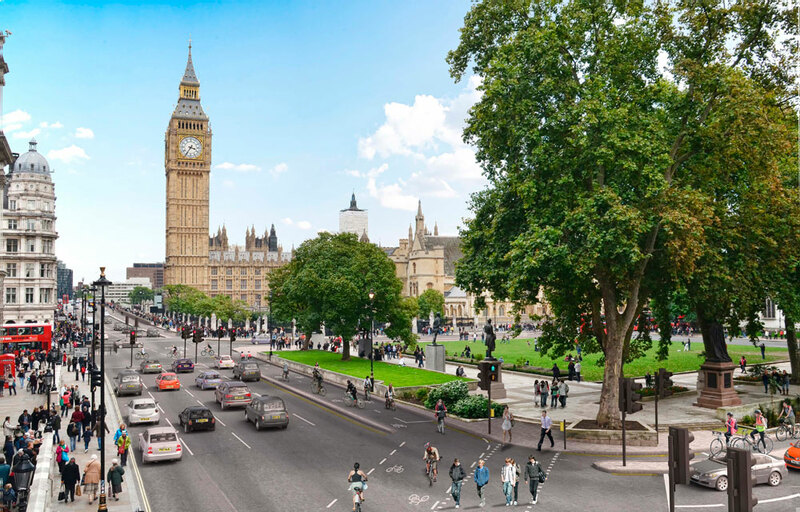 Readers can support the cycle superhighways plans by writing to their bosses or signing up themselves to support the plans, as individuals and businesses. Chris Kenyon, co-founder of cycling works and vice president of sales and business development at Canonical in London’s Blue Fin Building, said: “We are making sure that businesses, a number of whom have large numbers of employees that cycle to work, speak up in support of the Mayor’s two new cycle superhighways, and specifically to note the point that these plans are good for business. Kenyon says he is in conversation with 50 companies at the moment who are supporting the plans, including, he says “big banks, large technology companies and large law firms”, many of which will be announced over the coming days and weeks. So far official supporters include Bart’s NHS Trust, with 15,000 staff, Millnet, a City tech supplier, Goodsir Commercial, Pollard Thomas Edwards architects, sofa.com and Balderton Capital back the plans, and Kenyon says he will be announcing more over the next few weeks. The Evening Standard last week ran an article quoting a “major London employer”, who refuses to be named, as saying the plans are “a mess”, and threatening legal action against the Mayor. Results from Transport for London’s traffic modelling of the proposed routes are due for release tomorrow, but they are expected to show only small delays to journeys along the route. Rosie Downes, London Cycling Campaign’s Campaigns Manager, said: “Transport for London recognise that not only must we cater for the increasing demand that exists for cycling, but that we should reallocate road space to cycling to help address the congestion that will be caused by London’s rapidly increasing population. As an employee or an employer you can sign up your business to cyclingworks.london or encourage your company to do so. You can also sign up as an individual here.